The NC State Entrepreneurship Clinic received the 2018 Excellence in Co-Curricular Innovation Award from the United States Association for Small Business and Entrepreneurship (USASBE). The award recognizes the Entrepreneurship Clinic’s innovative approach: serving as a classroom for experiential learning, a physical space where students can execute on their ideas, a locus of interaction between the university and area startups, and a practical research lab for data collection. Gabriel Gonzalez, Clinic program manager and Lewis Sheats, Clinic executive director, center; Heidi Neck, USASBE president, left; Mark Schenkel, USASBE president elect. “It is always a great honor to be recognized by your peers,” said Lewis Sheats, assistant vice provost for entrepreneurship at NC State, executive director of the NC State Entrepreneurship Clinic, and Poole College professor of practice. He accepted the award at the association’s annual conference, held January 10-14, 2018, at the California State University – Northridge. This is the second time NC State has been recognized by the association. In 2017, the NC State Entrepreneurship Clinic received the USASBE Outstanding Emerging Entrepreneurship Program Award. “We are very proud of the progress we have made in creating an environment that promotes curricular diversity in the classroom,” Sheats said. The clinic was established in January 2015 as part of the entrepreneurship curriculum based in NC State’s Poole College of Management, to change the way students learn by taking them out of the classroom and embedding them in the entrepreneurial community. Modeled after the university teaching hospital model, the Entrepreneurship Clinic integrates research, teaching and real-world experience by providing a place where faculty, students, entrepreneurs and service providers go to teach, learn and build the next generation of entrepreneurs. The clinic provides courses and practice for both undergraduate and graduate students across multiple disciplines, including business, engineering, design, textiles, agriculture, and computer science, etc. Students form diverse teams, based on the best mix of strengths, and serve as clinicians to partner companies – early stage startups, scaling businesses and established companies – that apply to the Entrepreneurship Clinic with specific business issues and needs. Student teams meet with company applicants, evaluate their weaknesses, and develop and execute a strategic action plan to help them solve their business need. “Partnering with entrepreneurs who are in the execution phase of their business exposes students to real-world application of the entrepreneurial concepts they’ve been taught, moving the entrepreneurship curriculum beyond the traditional classroom,” Sheats said. The Entrepreneurship Clinic also serves as a research lab, collecting data on each participating startup, including competencies, traits, characteristics, motivation, cognitions, strategies, attributes, industry and environment. The data are fed into a database and the ventures’ outcomes are tracked, resulting in data that ultimately can be used to assess and diagnose potential failure points and empower startups with evidence-based, practical solutions to help them grow and thrive. 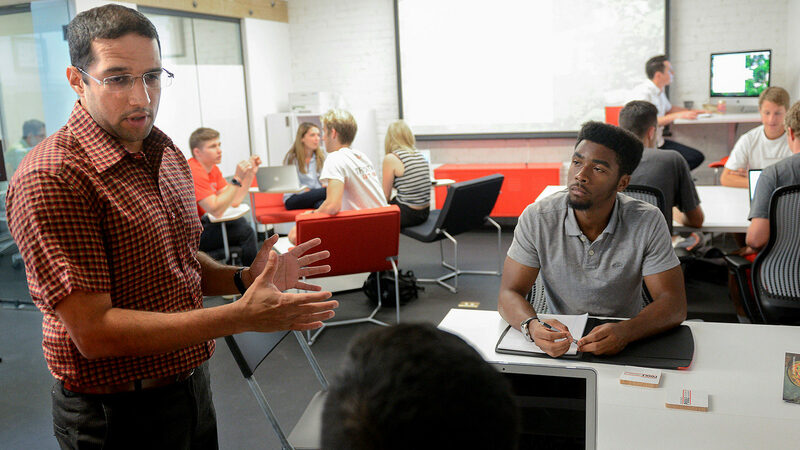 The success of the NC State Entrepreneurship Clinic stems from its unique ability to bring together students, faculty, and the entrepreneurial community. Following are key factors that set it apart from other academic programs. The clinic is open to students working for course credit and those who participate on a volunteer basis. 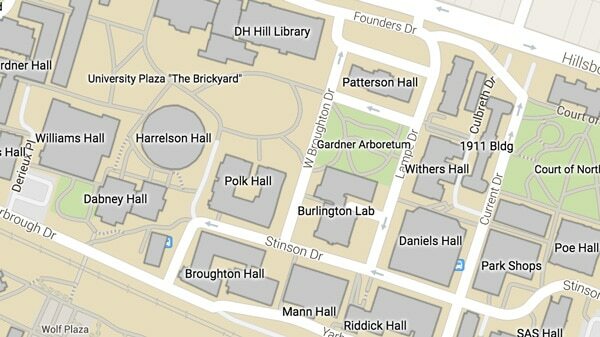 Students represent 20-plus majors and concentrations across NC State. The clinic is a cornerstone of Raleigh’s largest co-working space, HQ Raleigh which currently houses more than 300 new ventures, providing students access to a large startup network. Company projects may continue beyond the traditional academic semester. Data collected during each interaction with a partner company provides institutional knowledge that is passed along to successive student teams over multiple semesters. This data collection also aids in longitudinal research of these new ventures. The clinic has a mentor program for interested students. Mentors and mentees self-select based on mutual interests and compatibility and meet at extracurricular events in a social setting. The Entrepreneurship Clinic also drives multiple critical outcomes. Students hone their critical thinking skills and gain valuable experience before launching their own concepts or entering the workforce. Students are hired by high-growth startups for full-time or internship roles, join entrepreneurial divisions of large enterprises or launch their own companies. Companies working with the clinic receive viable solutions to their business issues and a pool of students to hire as they grow their enterprises. This facilitates more NC State graduates joining high-growth companies after graduation and enables more startups spinning out of the university, creating a lasting impact on the local economy. The NC State Entrepreneurship Clinic is among the outreach programs of the Entrepreneurship Collaborative, based in Poole College. This post was originally published in Poole College of Management News.